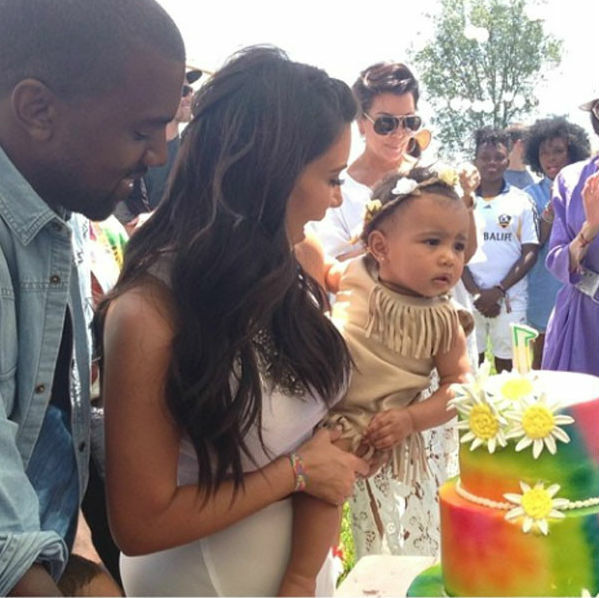 Newlyweds Kim and Kanye are ready for their second child together. Kim Kardashian and her new hubby, hit-making rapper Kanye West, are looking forward to growing their family! Speaking to Australia’s Today show, the yummy mommy said she was looking forward to baby North having a younger brother or sister soon: "I hope so. We're trying," she said. "I guess it's all in God's hands." Loving her new role as a mommy and a wife, Kim gushed, "Everything is put into perspective and nothing really matters besides spending time with your family and only doing the things important to you." Isn’t she starting to sound a bit like her sister, Kourtney, when she started working on her family? We can’t wait to hear the exciting news soon!